Wolframoxiolite with a sectorial distribution of components is described from Li-F granite. 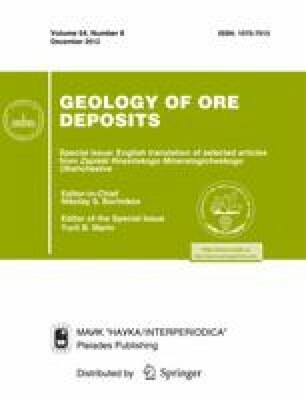 The ontogenetic features provide evidence for the primary origin of wolframoixiolite and geochemical evolution of the mineral-forming medium. Original Russian Text © V.I. Alekseev, Yu.B. Marin, 2011, published in Zapiski Rossiiskogo Mineralogicheskogo Obshchestva, 2011, No. 6, pp. 98–100.